Along its route, the Truckee River provides valuable drinking water for residents and businesses in the Reno area, generates hydropower, supplies irrigation water to farms along its banks and in the adjacent Carson River Basin, offers varied recreational opportunities and serves as a vital ecosystem for fish and wildlife. The Truckee is also in an endorheic basin, one that is closed and has no natural outlet to rivers or oceans. Instead, water leaves the basin through evaporation or seepage. Below Lake Tahoe are several federal and privately owned reservoirs on the Truckee’s tributaries: Donner Lake, Martis Creek, Prosser Creek Reservoir, Independence Lake, Stampede Reservoir and Boca Reservoir. One major beneficiary of these reservoirs is Truckee Meadows, a bowl-shaped valley that was once a true meadow and wetland area. In the latter half of the 19th century, it was developed for agriculture and is now part of the rapidly growing Reno metropolitan area. As with the Carson River, the Truckee fluctuates between droughts and floods. Historically, small diversion dams, bridges, homes and businesses often were swept away in years of record snowfall or when winter snow was followed by drenching rains. In areas that had been heavily logged, the combination of high runoff and bare earth caused soil erosion, clogging streams and diversion canals and periodically decimating fish populations. At other times, livestock and crops were devastated by droughts. By the late 1880s, Nevada’s gold and silver boom was ending and settlers turned their attention to farming and ranching. In particular, the Carson Valley, a wide expanse of meadow near the state capitol, became popular for farming and ranching—industries that needed a stable water supply. 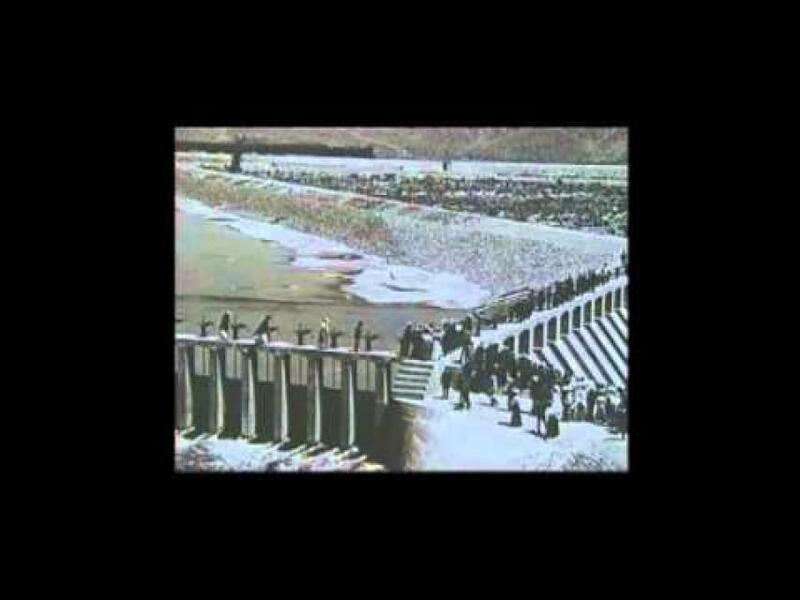 In 1902, Francis G. Newlands, a Senator from Nevada, helped secure money to construct Derby Dam, the Truckee Canal (linking the Truckee and Carson Rivers) and other water infrastructure for the Truckee-Carson Irrigation Project, which would later become known as the Newlands Project. Today, allocation of the Truckee river water via water rights is tightly controlled, though disputes still occur. The Truckee River has also become an important source of supply for Washoe County, which was once predominantly an agricultural county. An urban growth boom has resulted in most of the area farms being converted to homes and businesses, and most of that growth is in the cities of Reno and Sparks. With this in mind, and other challenges ahead such as uncertainties surrounding climate change, the Truckee Meadows Water Authority is considering water conservation, water recycling, and water transfers as a way to help meet current and future demands.